What’s hot in the online casino industry? Mobile gaming, and yes, live games which bridge the gap between playing in a brick-and-mortar gambling establishment and the remote gaming enabled by the Internet. 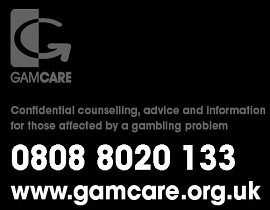 As you’re sitting in front of your computer, wearing pyjamas on a really bad hair day, you might get a minor heart attack when the dealer addresses you by name. The first time it happened, I sure did. The resulting action was to end the game abruptly, before realising they can’t actually see me. That’s how realistic the bleeding thing can be! And when it comes to live dealer casino gaming, Ezugi is one of the leading technology providers. The company was founded in 2013 with a mission to make live casino games more exciting and engaging (boy, was I excited!). What surely helps is that it’s led by people who bring along both online and land-based industry expertise, enabling Ezugi to provide a very realistic live gaming experience. To this end, they have developed the technology to stream live from land-based casino studios located in Bulgaria, Belgium, Costa Rica, In-Casino streams in Atlantic City, New Jersey and Cambodia. Even though they’ve only been around for a short while, this developer has already become a force to be reckoned with. 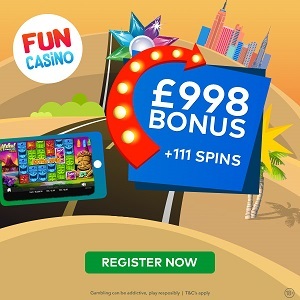 Their solutions are popular with online operators as well as gamblers, thanks to a good selection of games, experienced and trained dealers, and a variety of features which add excitement to live action. The Ezugi software platform is available in both Flash and HTML5 formats, allowing the players to use it on Smart TVs, PCs and various mobile devices. Ezugi’s portfolio includes some of the more standard games, but also a few unique ones which distinguish them from their competitors. Within the first group you’ll find classic Blackjack played at a table which sits up to 7 players and comes with game history options, live chat, dealer tipping, bet behind and side betting. While it’s a bit embarrassing to admit, at first I was not sure if “dealer tipping” meant you can tip the dealer or that they’ll give you tips on how to play. Dumb, right? Anyway, so that you don’t have to feel dumb, I’ll tell you this feature actually gives you a chance to offer your dealer a tip as a thank you for great service and enjoyable experience. And who knows, they might consequently throw some useful tips back! Ok, so you show up for a game of Blackjack, only to find all 7 seats are already taken. Does this mean you need to turn back and look for good times elsewhere? No, it does not! That’s why Ezugi have also developed Hybrid Blackjack which allows an unlimited number of players to join in. The developer’s Blackjack portfolio additionally includes Perfect Pairs and 21+3, each with a particular side bet option. Playing Perfect Pairs will allow you to place a side bet which wins when the first two cards dealt form a pair. Blackjack 21+3 combines two popular card games, basing the side bet on a 3-card Poker hand which is formed by your two initial cards plus the dealer’s up card. If cards are not your thing, Ezugi offers you to enjoy a live Roulette game played on a table which can admit an infinite number of players simultaneously. Don’t get spooked, like I did, when the friendly dealer greets you by name. They’ll be happy to chat with you during the game and congratulate when you win. 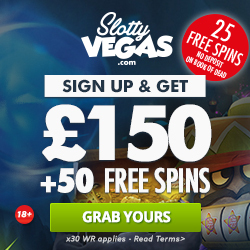 Live Roulette also comes with interesting features such as game history which gives an overview of winning numbers, hot & cold numbers and recent winners. Same as in live Blackjack, you’ll benefit from live chat option, dealer tipping, side betting and more. Live Double Ball Roulette offers an interesting variation to the traditional game by using two balls in a single spin. To win an inside bet, only one of them has to land on the number you have wagered on, but both need to hit the right spot in order to collect on an outside bet. Jackpot pays 1,300:1 when both balls end up in the same slot. Ezugi also provides Baccarat and Knockout Baccarat, the latter including side bet options called Natural Win, Winning Total and Ante/Wager. Their live games portfolio further includes Automatic Roulette, Auto Sic Bo, Sede, Andar Bahar and Dragon/Tiger. The company has recently launched Casino Hold’em, and are apparently also developing Caribbean Stud Poker with a Progressive Jackpot, and Texas Hold’Em Bonus Poker with an optional Bonus Jackpot side bet wager. Several other live games make them stand out from the crowd, such as Live Lottery which brings the excitement of one of the most popular games to your home every 4 to 6 minutes, inviting you to bet on colours, sums and number while picking 6 out of 49 balls. Live Keno is a classic game of drawing 20 balls out of 80 and offering an opportunity to bet on a single ball up to 8 balls. 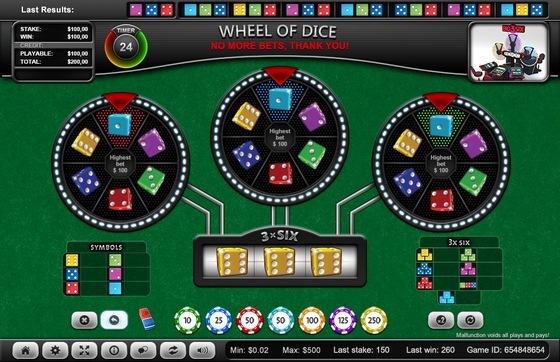 Wheel of Dice, which operates similarly to the Wheel of Fortune, welcomes unlimited number of gamers and offers live chat and side betting options. Ezugi games incorporate Facebook, Twitter and other social tools which will allow you to get your friends on board simply by clicking a button. If you’ve got a Facebook profile, feel free to use it for chatting with your buddies while you play, and when winning big time, tweet to brag about it to anyone who’d listen. Though don’t be surprised if you get some tweets back asking for a loan. Or a marriage proposal. The Ezugi platform is certified by the Curacao E-gaming licensing committee, and thanks to the most advanced SSL encryption, it provides a high level of safety and security. To convince you their games are 100% fair, they offer full transparency with the help of proof lists, player history, as well as game draws and outcomes. Evaluation of game rules, RTP and several other elements, done by iTech Labs, certifies Ezugi games comply with the relevant standards and are fair and reliable. If you like what you’ve read and want to test this developer by yourself, play Live Roulette, Blackjack and Baccarat at Miami Dice, Leo Vegas or Spin Station.